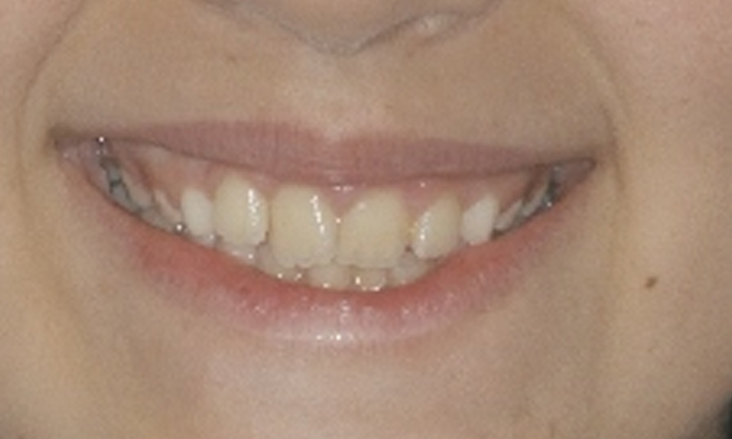 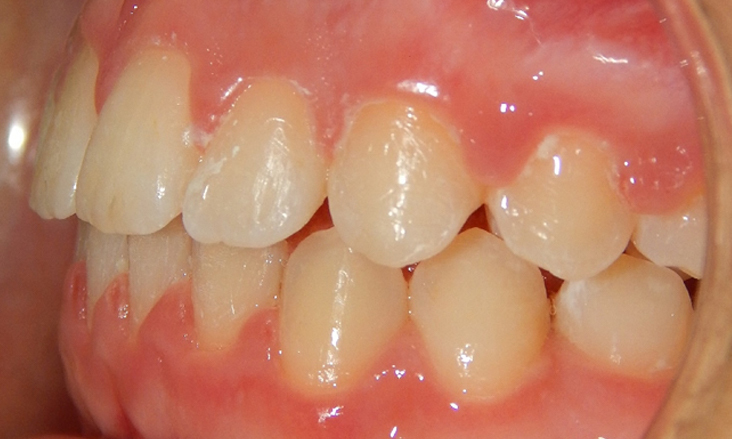 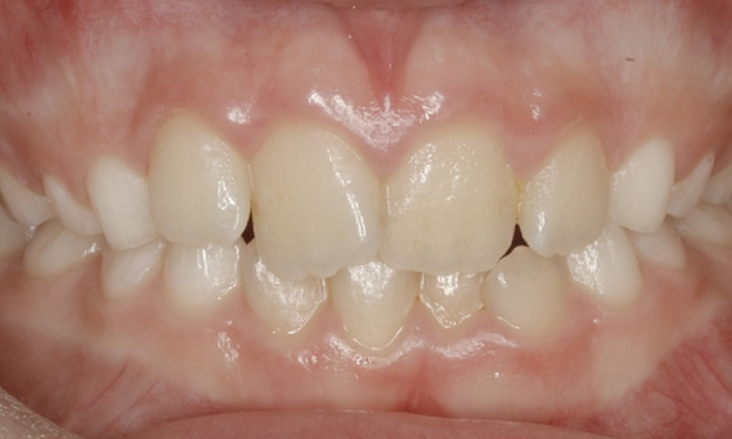 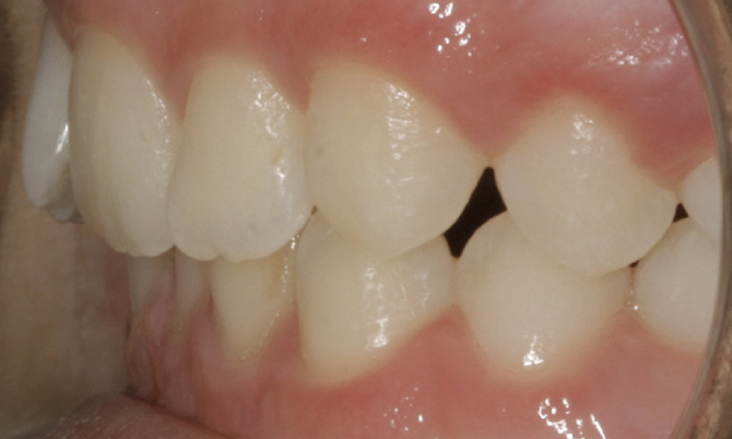 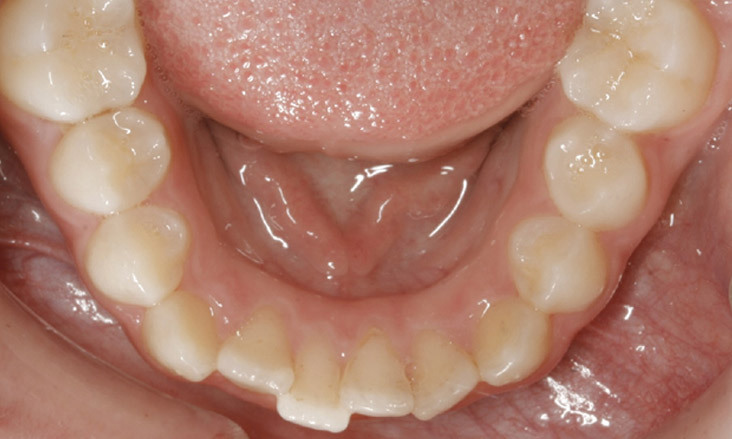 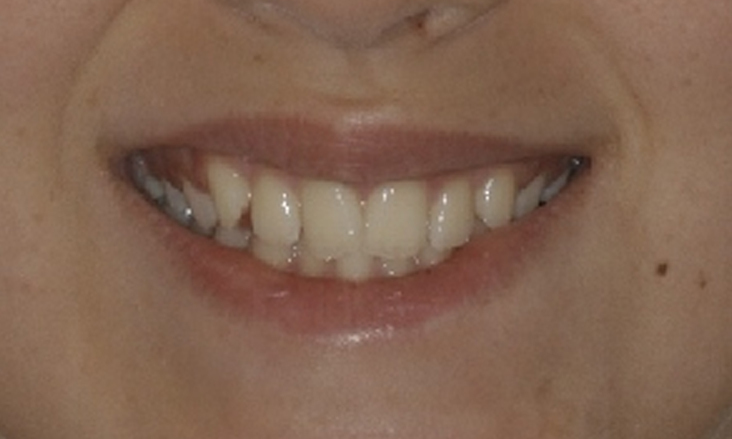 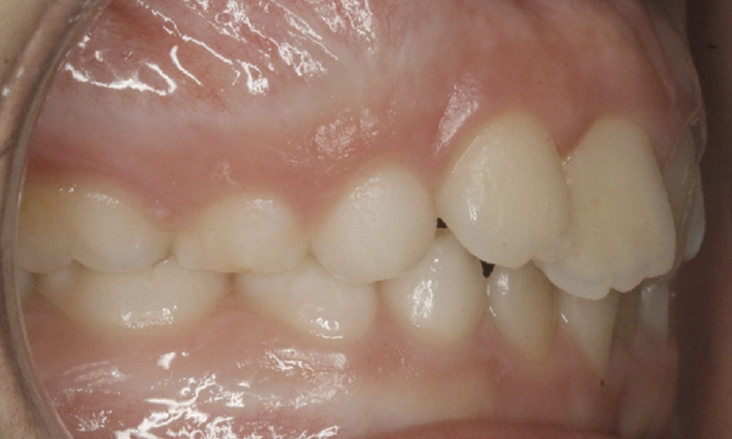 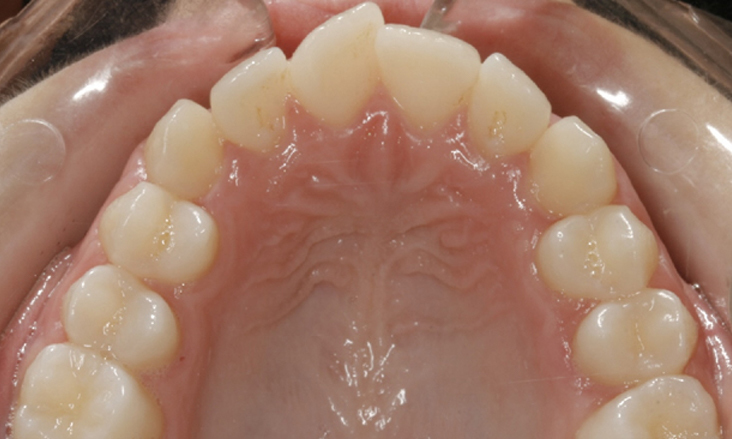 This patient is in the middle mixed dentition with both adult (permanent) and baby (deciduous) teeth present. 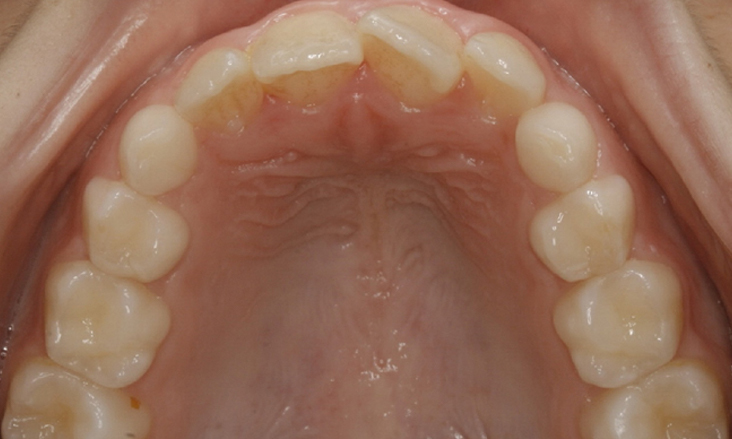 There is moderate crowding of the anterior teeth and a moderately deep anterior bite. 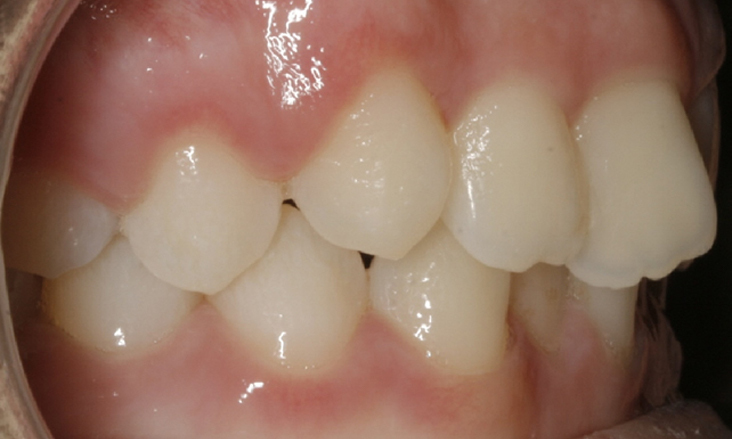 No treatment is needed at this stage of development as the position of these teeth may improve without any intervention. 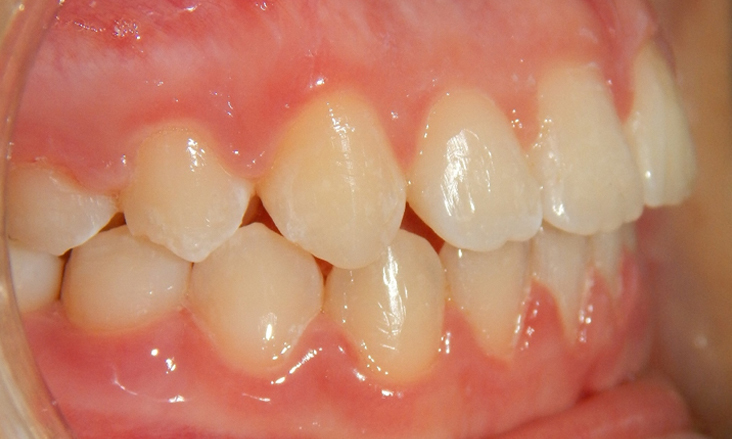 The adult teeth have now erupted and it is an appropriate stage of dental and general development to commence orthodontic treatment. 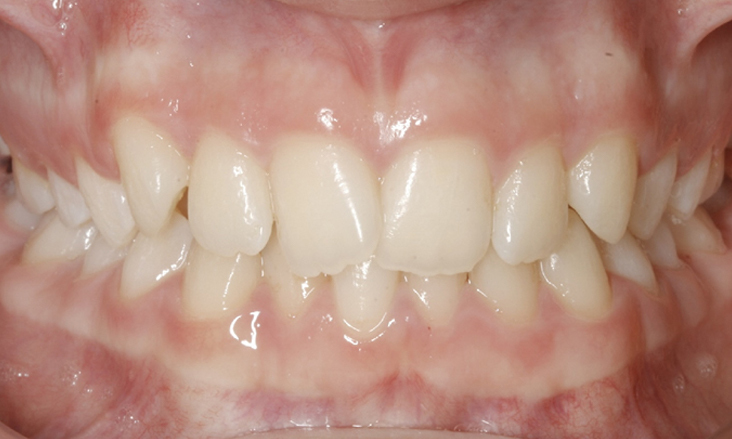 This was undertaken with fixed braces though could have been done with invisalign (or appliances similar to invisalign). 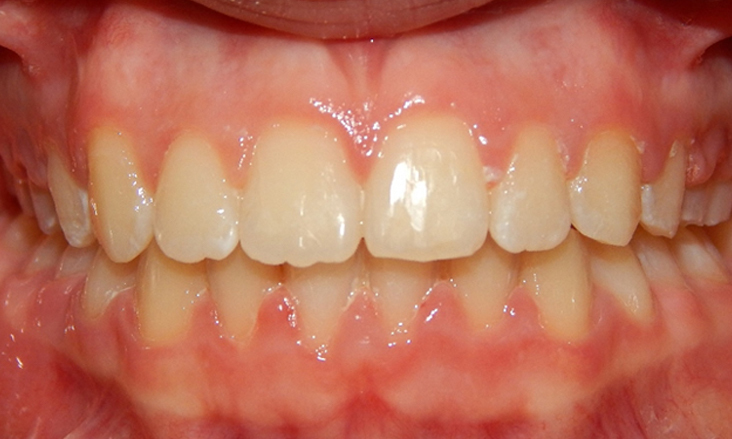 Duration of treatment was 17 months. 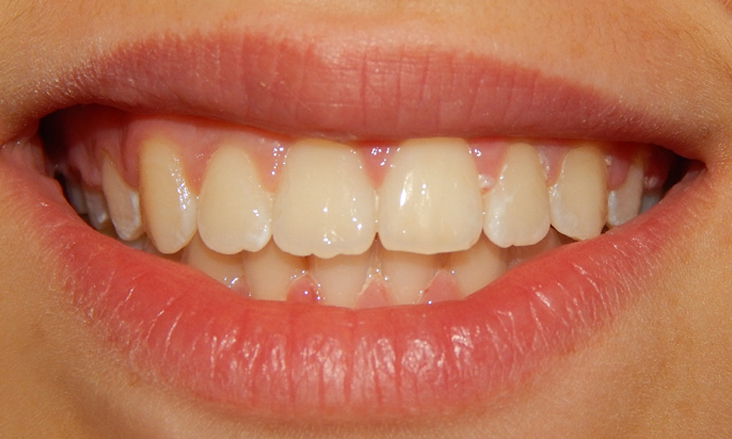 Retainers are being worn. 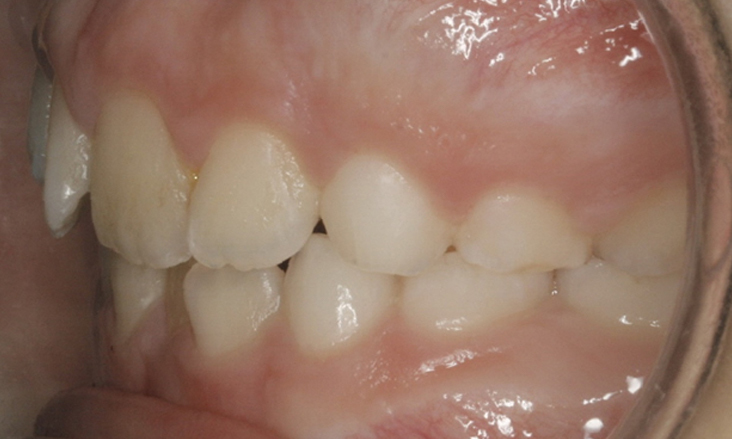 The upper retainer is a clear plastic removable retainer. 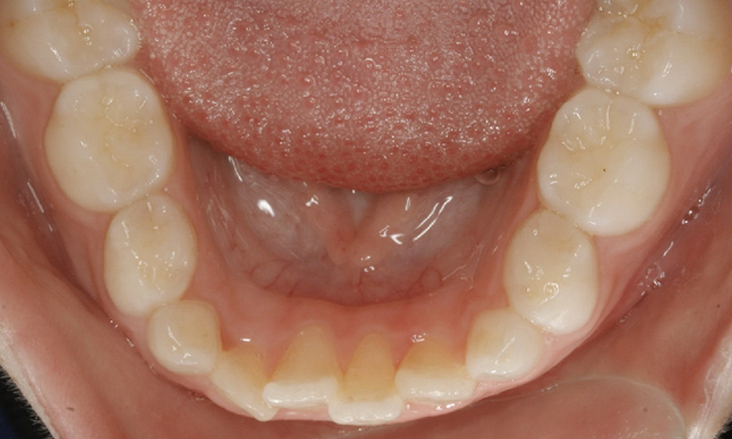 The lower retainer is a fixed lingual wire retainer that is bonded to the inner surface of the front 6 teeth.